For superior operational performance and to optimize the user experience, this software suite has been enhanced with new features, boasts improved user interface ergonomics, is more open with the provision of connectors and incorporates new optimization parameters and web services. To provide an efficient and comprehensive tool in all circumstances, this application now enables delivery staff, mobile technicians and field sales staff to schedule appointments directly from the field and to have permanent access to enhanced content. Companies located in India, both Indian and international brands, can now use a comprehensive package of data from local administrative entities to analyse and optimise their operational performance. 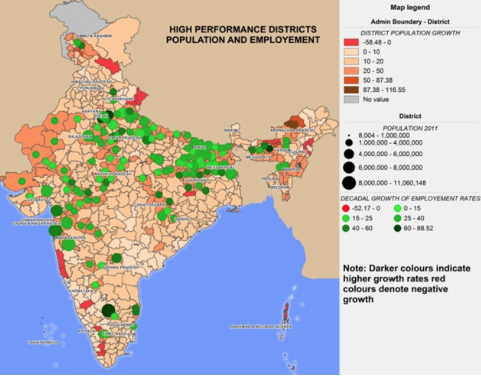 As the first publisher to provide a packaged geomarketing data offering in India, GEOCONCEPT is providing a comprehensive and detailed grid of Indian administrative divisions generated by the last government census in 2011: villages, towns and other levels for the country's major cities. With 595,904 administrative units and more than 99% of the population mapped at village and town level, the resulting data are the most comprehensive on the market today. 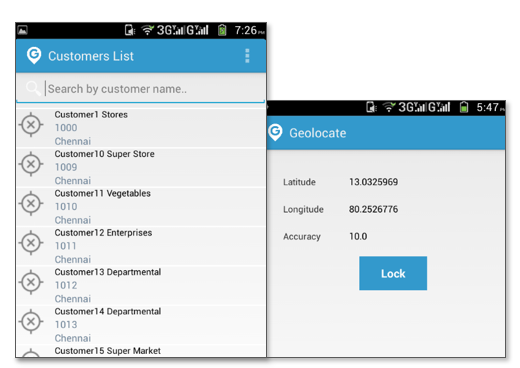 GEOCONCEPT announces the launch of Geoconcept Geolocate, a mobile geolocation application for professionals. The Geoconcept Geolocate mobile application enables field professionals to geolocate information directly on the ground, providing even more detailed and accurate analyses. 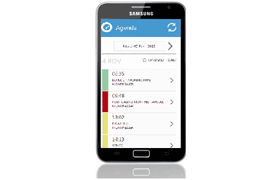 Fully integrated with the Salesforce environment, the Opti-Time Cloud app enhances the client relationship with intelligence and geographical optimization. 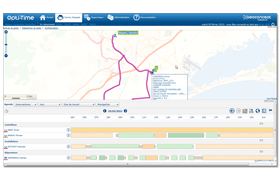 In the new version 2.0, sales and technical teams benefit from Geoplanning for pinpoint, relevant, rapid and lower cost calls. As part of its growth in France, CARGLASS® has chosen to use Geoconcept solutions to consolidate its network of integrated centre’s and improve the efficiency of its technicians’ callouts on the ground. 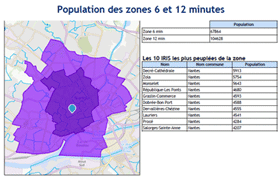 « GEOCONCEPT has helped us to perfect our Geomarketing strategy thanks to the performance, intuitive use and flexibility of the solutions on offer. The geographical approach enables a significant enhancement of the analysis of market data, thus making it possible to take strategic decisions on the development of our network of sales outlets». Reports for Geoconcept 2.0 s’enrichit de nouvelles fonctionnalités et offre ainsi aux utilisateurs une solution plus complète et ouverte mais aussi une Reports for Geoconcept 2.0 boasts new features, thereby offering users a more comprehensive and open solution while also being easier to pick up for quickly editing customized and comprehensive reports. Microsoft MapPoint was discontinued on 31/12/2014. You do not have any software to visualize and analyse your business data anymore? GEOCONCEPT offers alternative solutions to MapPoint. Discover the GIS range of products of GEOCONCEPT: simplicity, performance and scalability! 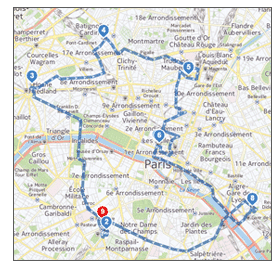 MapPoint was your trusted companion to visualize and analyse your routes optimized with TourSolver? Since Microsoft MapPoint has been discontinued, are you looking for an alternative? 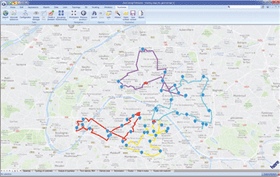 GEOCONCEPT has the solution: discover Geoconcept TourSolver, the easy-to-use and complete tool for route optimization!